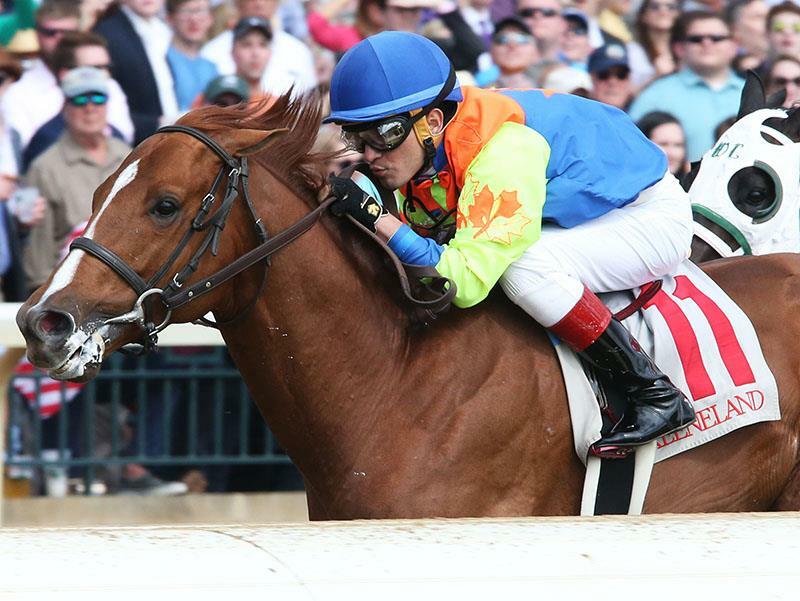 "Who's Hot, Who's Not - Carpe Diem seizing his first opportunity" Read the article here. 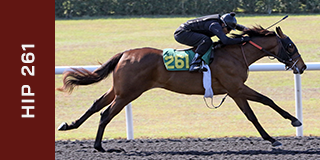 Hip 559 OBS - :10.0, consigned by Equest Thoroughbreds, Inc. Lot 50, a first-crop 2-year-old colt made 130,000 guineas (approximately $178,000) to Satish Seemar / Adam Driver at Europe's premier breeze up sale. 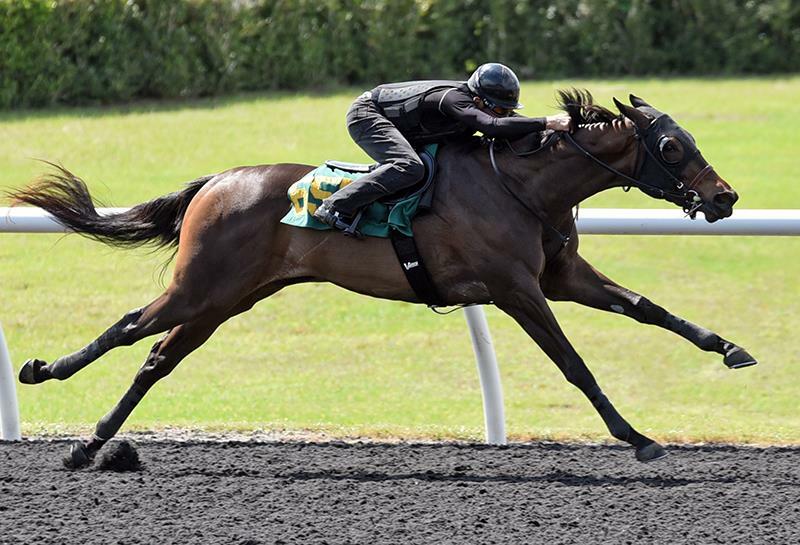 A first-crop 2-year-old sold for $650,000 at F-T Gulfstream to Katsumi Yoshida. 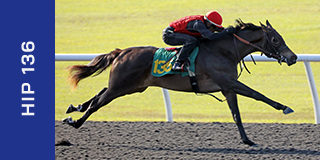 First-crop 2-year-olds at F-T Gulfstream of $600,000 to Team Valor International and $150,000 to St. Elias Stable. 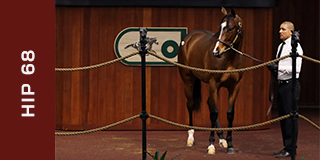 First 2-year-olds at OBS March of $250,000 to Katsumi Yoshida, $245,000 to Louie Roussel III, $185,000 to L.E.B., agent for West Point Thoroughbreds, $160,000 to Michael Lombardi, etc. 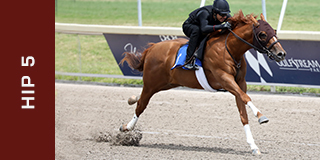 First 2-year-olds at OBS March of $450,000 to Gulf Coast Stables, $225,000 to Exline-Border Racing LLC, $145,000 to Patrice Miller, EQB Inc., agent, $115,000 to Bradley Thoroughbreds, etc. 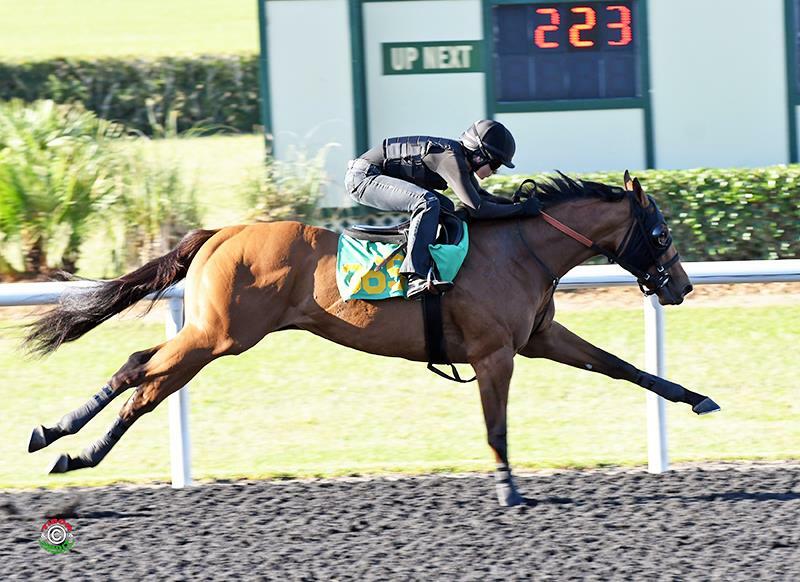 First 2-year-olds at OBS March of $350,000 to Narvick Int'l,--HRH Prince Sultan Bin Mishal Al Saud, $140,000 to Narvick Int'l, agent, $110,000 to Dennis O'Neill, $110,000 to Michael Morton, etc. 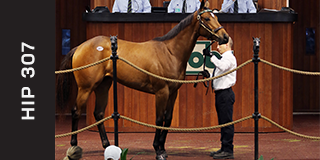 First 2-year-olds at OBS March up to $155,000 (bought by Eclipse Thoroughbred Partners). 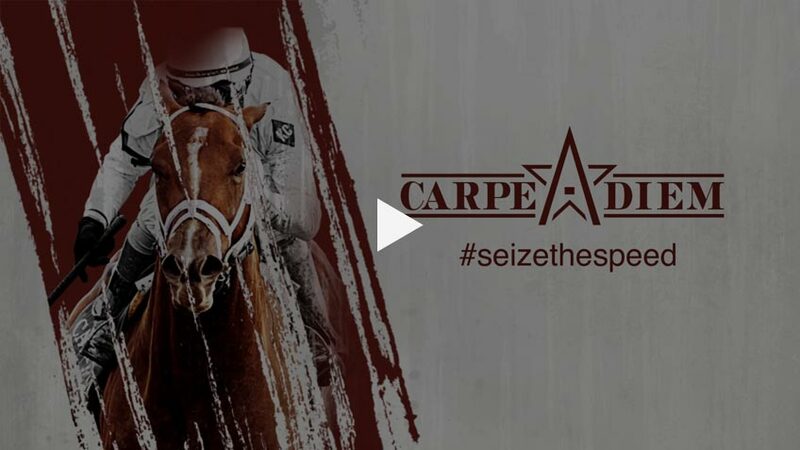 "Another sire I think people should keep an eye on is Carpe Diem... 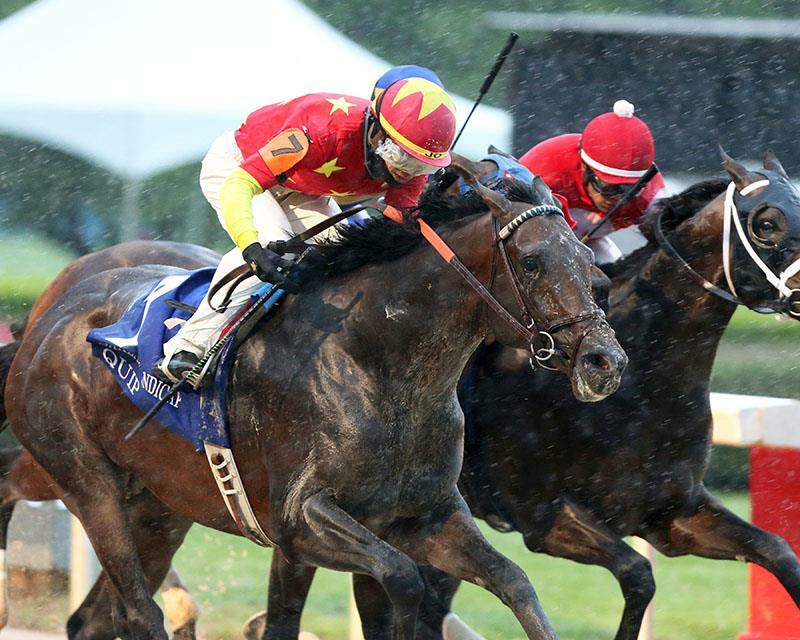 I think he’s going to be a sire that injects some speed into his horses." - Wesley Ward, trainer. "They [The Carpe Diems] train really, really well and are quicker than I thought they'd be. 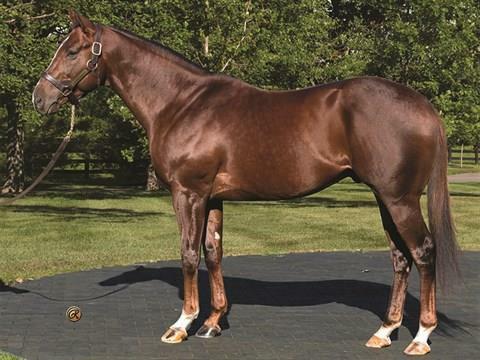 They've also matured and prettied up and gotten to look more like him than they did as yearlings." - Ciaran Dunne of Wavertree Stables. 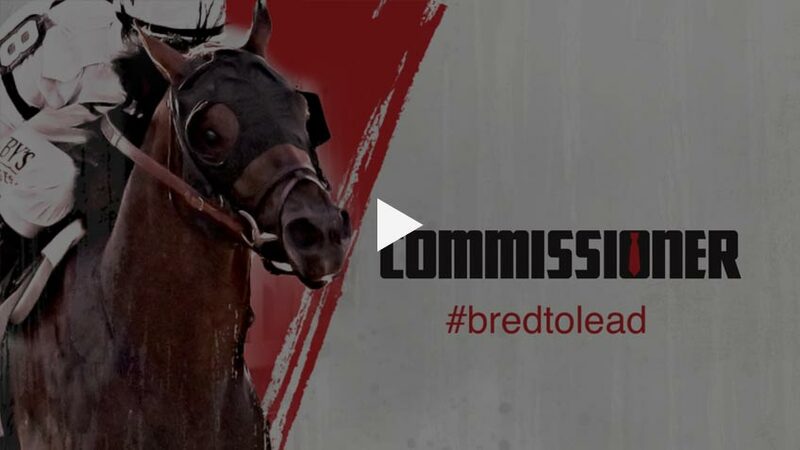 "My choice for top 2-year-old freshman sire is Commissioner. There are so few sons of A. P. Indy that have failed at stud that this beautifully bred colt has a huge shot in my book. 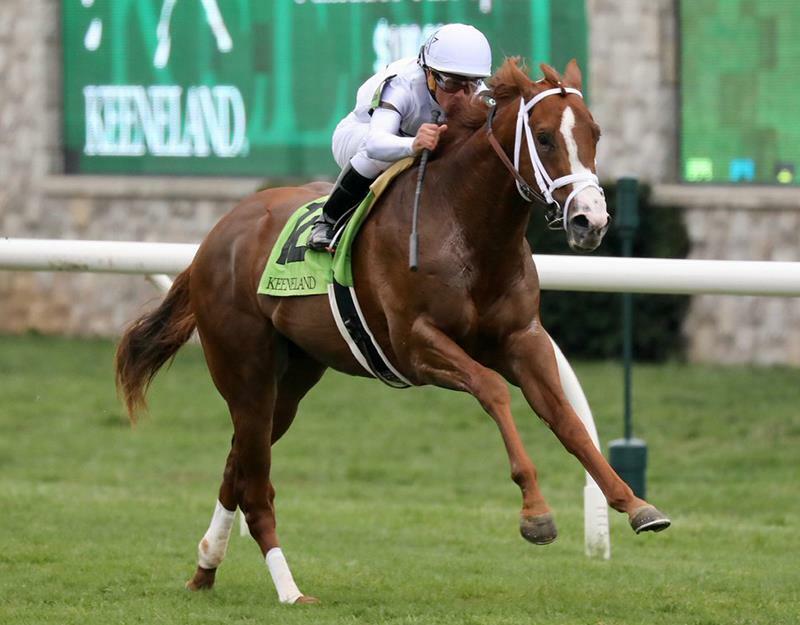 He was a maiden special weight winner at Saratoga in his second start as a 2-year-old, he comes from an incredible female family that is live on the track and has monster sales in the ring." - Carrie Brogden of Machmer Hall, TDN 3/7. "I love my Constitution filly and I have a Commissioner colt that I like. 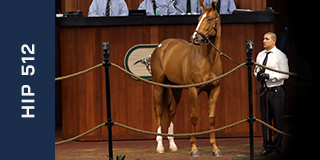 The Commissioner colt, Hip 159, went :21.1 on the first day of the breeze show. 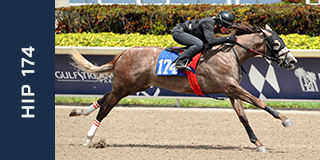 The colt is a half-sibling to G3 winner Fair Point and from the female family of Silver Charm." - Nick de Meric of de Meric Thoroughbred Sales. "Literally every Constitution I have seen, has size, scope, and substance. 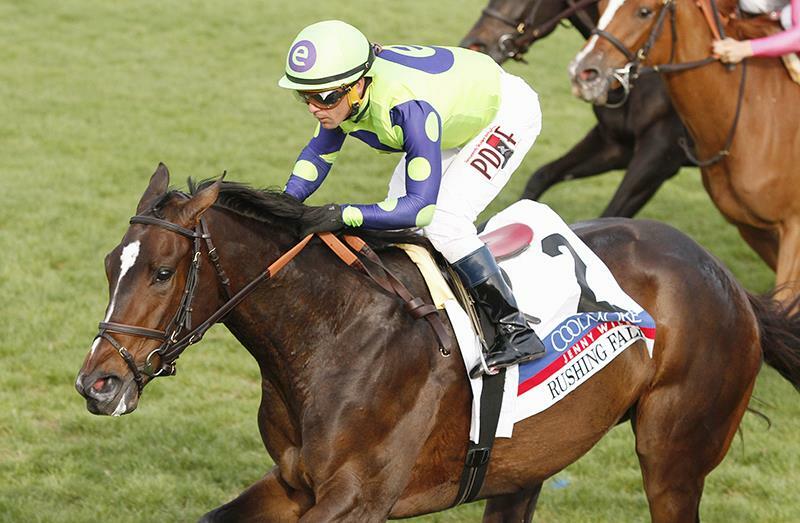 Traits of any top sire whose progeny win races on the weekends and big days. We will be trying to buy them at the 2YO sales. 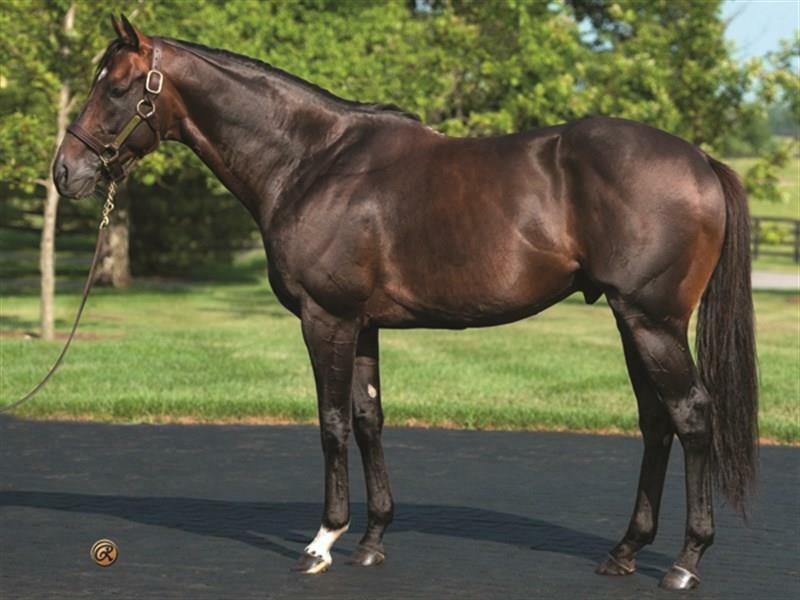 He has every right to be a TOP SIRE." - Zach Madden of Buckland Sales. "When we started two-minute licking, this colt [by Constitution] blew my mind. He was a big, big surprise for me. He is naturally fast and naturally athletic. It would be like putting a baseball into a 6-year-olds hands for the first time, and he throws a 70 mph fastball." 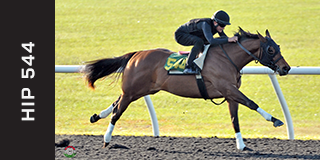 - Tom McCrocklin on his Constitution colt aiming at the OBS April sale. 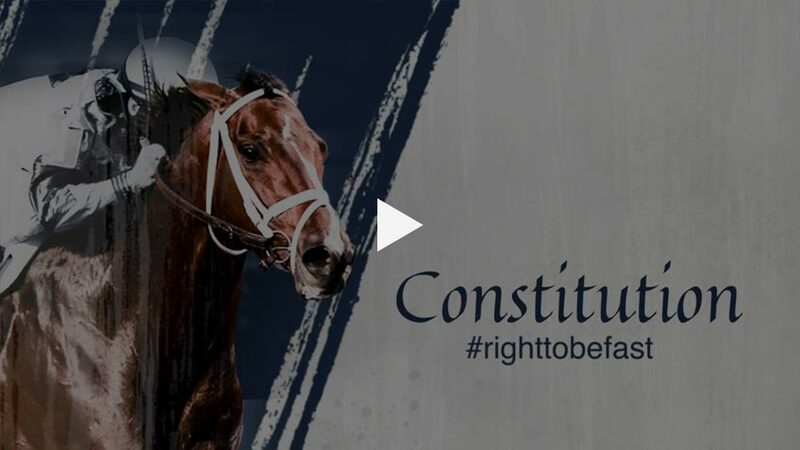 "Constitution was a fast horse himself. Even though he was a router, he liked to run on the front end and had tactical speed. These colts are big and strong and act like they want to go farther." - Ciaran Dunne of Wavertree Stables. 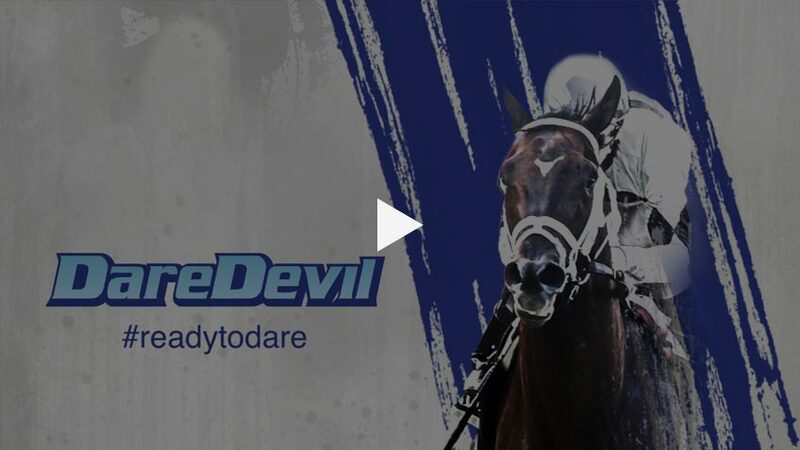 “We have one Daredevil, and he might the fastest horse we have on the farm. He’s a really cool horse. He’s a good mover who goes really fast. We are excited about him.” - Ciaran Dunne of Wavertree Stables. 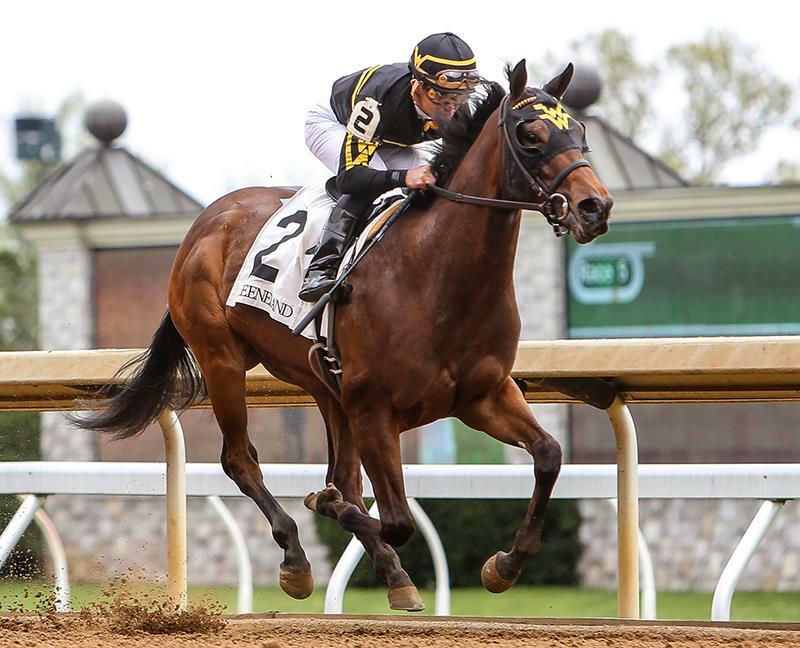 "Probably the surprise of the sale [OBS March], the five fillies and one colt by Daredevil, a son of More Than Ready, were fast and almost uniform in admirable stride lengths." - Robert D. Fierro, TDN.